Twelve-year-old Marshall Thompson's favorite place in the world is Luke's Junk Store. With one more trip in before school begins, he's intent on finding the perfect thing to take with him on his first day back. But his "great find" ends up being a girl -- and a friendship begins that will change him forever. Together, they share a love of puzzles and something else: sickness. With his asthma, and her in cancer recovery, they're linked as kindred spirits. But when a life-changing incident threatens their friendship, Marshall has to learn to pick up the pieces to his broken puzzle of life and put them back together. 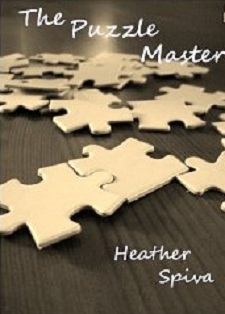 The Puzzle Master is a story of friendship, love, forgiveness and hope; issues that surround us at the youngest of age. Through Marshall's tragedies and triumphs, he learns to accept change and overcome his trials even when they seem insurmountable. “S’pose so,” he said. He rolled over and faced her. His inhaler had loosened up his pocket so it was practically sitting out in full view on the bed. But when he rolled again, it popped onto the floor and sounded like it shattered. He knew there was no way she had missed it. Marshall scrambled himself off the bed and sprung for it, before it rolled under Mason’s bed. He hoped she hadn’t seen it. He hoped she thought it was just something else, like a cup breaking. Anything other than the inhaler. He found it—just as her eyes locked on it—and shoved it back into his pocket. He plopped back onto the bed and tried to act nonchalant. But the panic had stirred up his lungs. He could feel it rising like a plume of smoke and he coughed. She was watching him, staring through him like x-ray vision. He nodded. “Yeah,” he nodded again. “It’s not so bad though.” He patted his pocket, wishing so bad she didn’t know about it. He wasn’t sure why. Maybe because he wanted her to keep a good impression of him; not to know he had problems. This was one more chink in the armor. “Why didn’t you tell me?” she demanded, eyebrows knitted into the letter V.
He faced her and then rolled off the bed into a sitting position so he was opposite of her. They both had their arms wrapped around their knees and looke d like a couple of bookends. The room was almost dark now. A glow from the sunset filtered through the curtains and Iris’ face looked more doll-like than ever. She was silent, and looked at the air conditioning unit, which was rattling again. The little white and red streamers were flying awry like the tail of a kite. They were silent again. Marshall fiddled with the inhaler and brought it out. It was almost empty. He’d have to replace it soon. You know, just in case he had a bad episode. That was all. “You use anything else besides that thing?” she asked, staring at the hard ivory colored plastic. She looked almost happy to see the inhaler, as if that little secret was the best thing she’d heard in a long time. “Hydro what?” Marshall asked scratching his head. ‘Where’d you read that?” She handed him the inhaler and he put it onto his nightstand. The room was nearly black, so Marshall flipped on his side table lamp. She held a hand up to her eyes and rubbed them. “How come you know so much about weird things?” he finally asked. She didn’t answer right away and instead stared at the bed, then at her fingers, then at Mason’s guitar sitting on the desk. “That’s a strange question, you know.” She still had that smile on her face, and was watching him like she knew a hundred things he didn’t know. It was getting on his nerves. My writing career began, like a lot of authors, out of a love of reading. I remember being twelve and having read the most magnificent story – Tom’s Midnight Garden, by Phillipa Pierce – and I knew I had to do something about the joy I had. I didn’t just want to read, I wanted to create stories of my own so I could live the joy –daily – that I had in reading, but even more so through stories of my own. My latest endeavor, called The Puzzle Master, came out earlier this year. While I had written other books before this one, this story came to me through a random comment from my young son. And that comment, created this story – a story that I wrote in less than three weeks. The Puzzle Master is about a remarkable friendship that blossomed in a junk store, of all places, through the love of puzzles. It isn’t just a happy-go-lucky story though, and while I had wanted a light-hearted story, it didn’t so much end that way. It took me years to find a writing style. Which is normal. And now that I finally have it, I love it. It suits me. My philosophy is, less is always more. And that transcends to not only my writing style, but to the actual formatting of the book. I don’t think books need to be over 100, 000 words just to be considered good. I also always recall the old adage “quality, not quantity” while I’m writing, and I think it’s something a lot of writers should stick to as well. Less is more. Less gives the reader more to imagine. 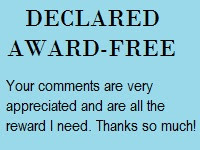 Less makes every word that I write, have to reallycount, which can be difficult, but extremely rewarding at the end. What are the most important attributes for staying sane as a writer? Have another hobby! I can’t stress this enough. I hear some writers say that their writing is their hobby. Okay, so then what do they do when they can’t write? When the words won’t come? When the story sounds like it’s the worst story in the world? I buy and sell vintage clothing. I love going to thrift stores, love finding hidden treasures, and then being able to sell them to someone who wants them. It is absolutely addicting. It’s the ultimate in recycling and having fun, at the same time. I also drink coffee. With those two things, I’m sane …pretty much. Not well. It’s always hard to hear that someone didn’t like what I wrote. But, this rejection, if you will, happens to everyone in everything. It’s a part of life. We can’t please everyone, we can’t make everyone happy either. 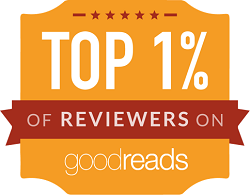 The sooner I realize this, the sooner I can let the bad review roll off my shoulders. Then, I go read the best reviews I’ve already gotten, pat myself on the back, and move on! Bottled water, down blankets, pajamas, sweat pants, wrapping paper, the random legos (from my kids) and a tennis ball or two (from my golden doodle dog). By the way, these things are almost exploding out from all sides of the bed. It’s that stuffed! 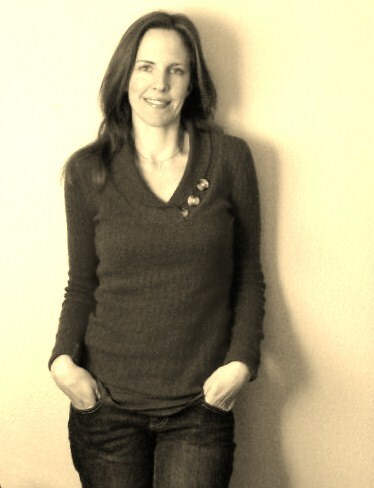 Heather Spiva is a freelance writer from Sacramento, Ca, who loves to read, write and spend time with her family. When not doing those things, you can find her at the local thrift store shopping for vintage clothing, or at a café drinking coffee. Or both in the same day. Enter for a chance to win a digital copy of The Puzzle Master. Follow the author's Blog for another bonus entry. Giveaway ends October 6th 11:59PM Central Time. I love finding new authors to read and this one looks real good.